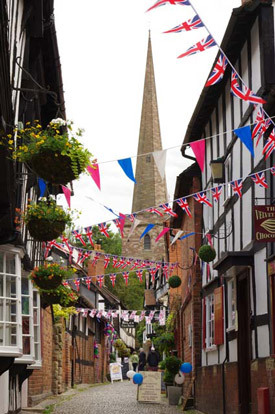 This map is a guide to a half mile walk around the ancient heart of Ledbury. It costs £1. 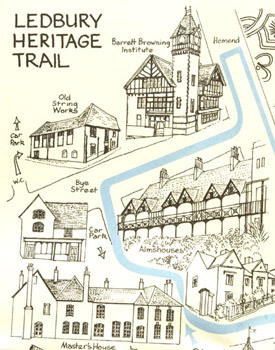 Find out more about the Ledbury Heritage Trail. We commissioned an album of Ledbury for the millennium. Find out more about the Millennium Album. The Society has also published a number of books. You can buy copies from the Butcher Row House Museum, the Tourist Information Centre and some local shops.